Take a peek at the people who fuel the Slinging London fire! I’m Becky, mum to Finn born in September 2009. 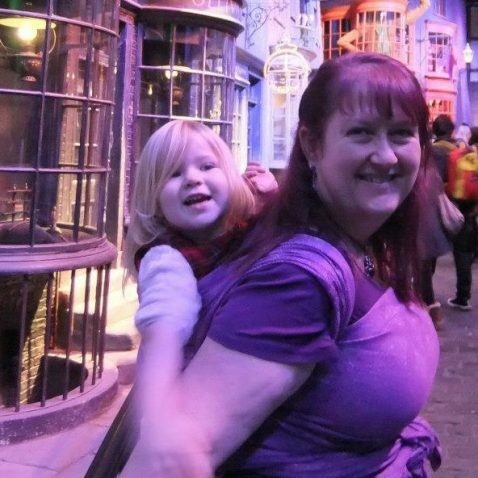 Our journey with slings began when Finn was 4 days old with a fairly uncomfortable sling panic-purchased from a department store. It didn’t get used much, but luckily, a couple of months later I was shown how to use a stretchy wrap on a postnatal course – and that’s when I fell in love with using slings. They made getting out of my second floor flat and around London on public transport so easy, I’m not sure how I managed without one – and of course the extra cuddles were great too! 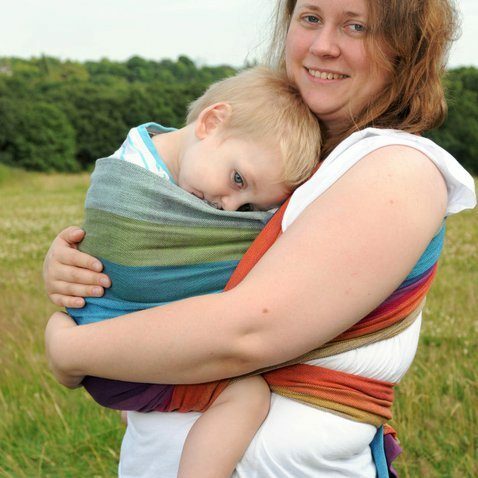 I met Jacki at the first North London Sling Meet in 2010, many slings of various types joined my collection, and later that year I bought the online sling shop Mama Natura. I trained as a sling consultant with Trageschule UK in March 2011 and have since completed the Advanced and Certification courses, as well as training with Je Porte Mon Bebe and Slingababy. My own carrying days with Finn are sadly over, but I keep my skills up to date by running the Bloomsbury branch of the North London Sling Library, my consultancy Slingchronicity and by training sling peer supporters through Born to Carry. I still love helping families find the right sling for them just as much as I did when I first started offering peer support at sling meets back in 2010.